£17 Full waged / £12 Part waged / £7 Unwaged. Our arts events can sell out - advance booking highly recommended. Number of £7 tickets limited. Composed of freelance professionals who both tour the world and contribute to some of London’s leading orchestras and ensembles, the Boscobel Quartet has close links to WLBC and its concerts here are always popular. This concert is dedicated to the memory of Jinananda, a much loved teacher and friend to many people at WLBC who died in December 2017. Composed of freelance professionals who both tour the world and contribute to some of London’s leading orchestras and ensembles, Boscobel is nonetheless rooted in the West London sangha. Its name refers to Centre’s location in ‘Royal Oak’, which derives from an episode in the English Civil War in which King Charles II hid in a tree in Boscobel Woods in Shropshire. And since ‘bosco bel’ also means ‘beautiful wood’ in Italian, it’s a perfect name for a string quartet. 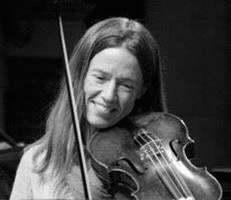 Sophie Barber is a freelance violinist who enjoys playing in many different ensembles and orchestras. She plays regularly with the Musical and Amicable Society, The Sixteen, the English Concert and Sounds Baroque, and at a wide variety of venues such as Shakespeare’s Globe. Her participation in the Boscobel Quartet reflects a lifelong love of chamber music. Iona Davies is a native of Llangollen in Wales and began playing the violin at the age of nine. Following a music degree at York University she studied baroque violin at the Royal Academy of Music and was awarded the ARAM in 2013. She is in high demand as a freelance player in London and plays regularly with The English Baroque Soloists, The Orchestra of the Age of Enlightenment and The Academy of Ancient Music. She has been involved in many recordings with these orchestras and has traveled the world with her violin to both North and South America, Japan, Australia and many countries in Europe. 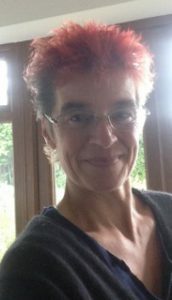 Iona has been a Mitra with WLBC since 2012. Kate Fawcett began playing the viola aged nine because no one else wanted to. She was soon besotted, though it was only after an Oxford literature degree that she decided to immerse herself in music. At Birmingham Conservatoire she dipped her toe into the delicious waters of period instrument performance and following a year with the European Union Baroque Orchestra she embarked upon a varied freelance career, appearing with ensembles both famous and obscure, including her own Musical and Amicable Society. 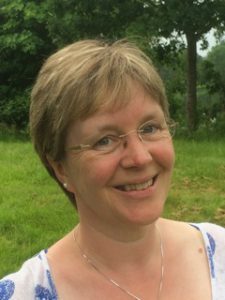 Her fascination with music as language led her to music therapy, which she now practises alongside education and outreach work. In life, as in quartet playing, she aims to espouse John Fuller’s definition of the violist’s role: “My ear is bent closely to the unheard, and what I add is quiet speculation”. Kinga Gáborjáni, originally from Hungary, completed her postgraduate degree at the Royal Academy of Music in London with distinction in 2007. She studied baroque cello with Jennifer Ward Clarke and viola da gamba with Richard Campbell. Kinga enjoys a busy career, playing both cello and gamba. As an orchestral musician, she has performed with most of the period orchestras in the UK and toured all over the world. She plays gamba continuo for Sir John Eliot Gardiner and the English Baroque Soloists. 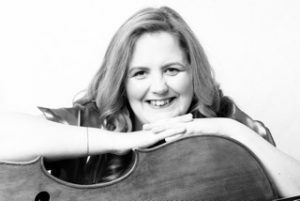 She has been co-principal cellist for the English Touring Opera since 2007 and she has been guest principal cellist with the Orchestra of the Age of Enlightenment and the English Concert. She is also a member of several chamber music groups, including the viol consort Newe Vialles.